A key consideration when producing a book video is the tradeoff that frequently arises between production values and budget. 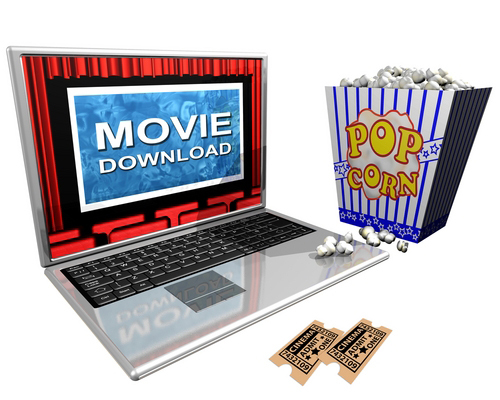 Book trailers run the gamut in terms of quality. Some high-budget book videos use HD or film and have movie or TV stars in them. At the other end of the spectrum are amateur videos, that may have serious creative and technical problems. Both types get posted to the same distribution sites, such as YouTube. People watching the amateur videos may decide that the low quality book video reflects the quality of the book it is intended to promote. If video isn’t your avocation, it is worth consulting a video production firm to find ways to manage the budget / quality trade-offs and still produce an effective trailer. 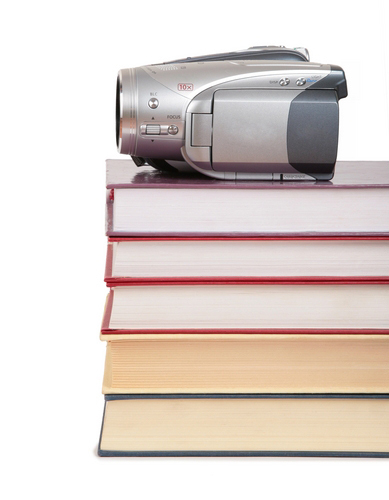 Here are some questions we frequently get asked about book videos. How do you work around a limited budget? Most of the trade-offs in production values originate with the budget. Since the primary client is an author with limited funds, we must respect what this imposes on the trailer we make. One trade-off is the number of scenes. Often we are asked to do several scenes for a minimum budget which means that our props or actors may have to reflect that budget. It might be better to have fewer scenes and invest more in the quality of each scene. Another trade-off occurs around the use of professional talent. For instance, an author may want a friend to be in the trailer or to do voiceover narration. Unless that friend is a professional, it usually just creates more work for the production company without resulting in a higher quality video. Another tradeoff is using digital vs. film or HD. Originally, we used digital to keep costs down. Our intent was to create a look specific to trailers and not attempt to compete with movie trailers. However, publishers or wealthy authors may be willing to pay the tens of thousands of dollars for a book video shot with the higher quality media. Sometimes a client will insist on having something in a trailer that is NOT appropirate for what the video is trying to accomplish. All to often this is more about ego than effectiveness. For example, COS Productions created one trailer where the author insisted upon choosing the actors. In particular, she had the male actor in mind when she wrote the book. In fact, she wrote the book with this person in mind and described him knowing he would, one day, be in the trailer. But, the majority of people commenting on that trailer said he looked nothing like the hero in the book. The trailer took a huge hit. But the author loved it, the booksellers used it and a fair number of bloggers said it influenced them to purchase the book. Obviously, anything creative that you make will be viewed through the filter of what that viewer feels at the time they watch it. It’s all subjective. Sometimes you win with fans and sometimes you lose. Do bad videos affect customer loyalty? Loyal readers will see a video and if they like it they will credit the author. If they don’t like it, they usually blame the producer. Even if the client made creative decisions that the readers didn’t like, the producer will be held responsible because fans like being fans and they will always support the author, even to the detriment of the producer, even when it isn’t the producer’s fault. In this respect, having someone else produce your trailer provides a buffer for the author. Do bad videos negatively affect sales? Though the general consensus from booksellers has been that they see an increase in sales when a video goes up, there’s really no hard evidence on this issue yet. With thousands of books coming out every month there is one thing that is for sure; if people don’t know your book exists they won’t buy it, the quality of the book video notwithstanding. If on an average 10,000 people hear about your video through normal channels then the most you can hope to sell is 10,000 books. With video, tens of thousands or even hundreds of thousands of people will learn about your book; so your potential sales above the normal channels stands to go up. Even if they don’t like the video, they may like the story. Or they may still check out your site. If only 1,000 people buy the book because of the video, and 5,000 won’t because of the video, you are still gaining 1,000 readers above what you would have gotten through normal channels of marketing. Readers who depend on normal channels of marketing (word of mouth, back cover copy, RT ads, book reviews) are less likely to be influenced by a book video one way or another. People who work in a creative field, such as writing or making entertainment videos, will always be subjected to the opinions of the general public. Bad book reviews, like bad book video reviews, come from a lot of places. 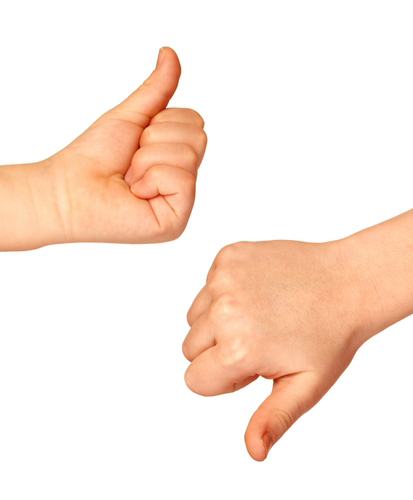 Just because someone gives a book a bad review doesn’t mean the book isn’t good. It just means that that person didn’t like it. For whatever reason. How much should you pay attention to bad book video reviews? We won’t beta test all videos because we produce too many and it isn’t always necessary. However, we do test our full production videos and we sample test our videos using a maintenance schedule. So all types of videos are occasionally tested as are all of our producers. So, even if we have one that ends up not being well received we know we can do better next time because we take comments, constructive or otherwise, into account. Not every book video is going to be a Telly award winner. But when the majority of them are, you can withstand the occassional bad comment and still feel successful. This entry was posted in author tools, book marketing, Book videos, Columns, readership strategies and tagged book trailer, book video, COS Productions, production trade-offs, Telly award. Bookmark the permalink.